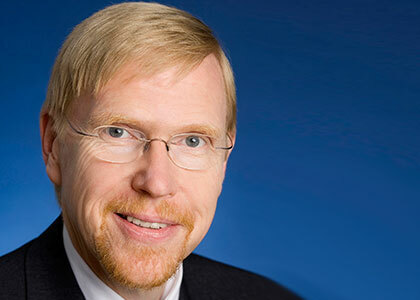 Thomas Mayer is founding director of the Flossbach von Storch Research Institute and is a Senior Fellow at CFS. As Senior Fellow he is involved in research on European financial integration and current financial market issues. He also organizes the CFS Lecture Series “On the Order of Money”. Between 2010 and 2012 he was Chief Economist of Deutsche Bank Group and Head of Deutsche Bank Research. From 2002 to 2009 he was Chief European Economist at Deutsche Bank in London and co-head of the Bank’s Global Economics Group. Before Mayer joined Deutsche Bank in 2002, he worked for Goldman Sachs in Frankfurt and London (1991-2002), and for Salomon Brothers in London (1990-91). He previously held positions at the International Monetary Fund in Washington D.C. (1983-1990) and at the Kiel Institute for the World Economy (1978-82). In 1982, he received a Ph.D. in economics from the University of Kiel and is a CFA Charterholder since 2002. Mayer has published numerous articles on international and European economic issues and his first book ‘Europe’s Unfinished Currency: the Political Economics of the Euro’ (2012), looks at the historical background of European monetary union, its current peril and proposes clear strategies for its rescue.